Touch a Truck – This event provides a unique opportunity for children and families to explore vehicles of all types, in one place! Held each spring, the event is mandatory for all scouts to attend and is a fundraiser both for the troop and the North Carolina Childrens. Mulch Spreading Troop 39 provides a mulch spreading service typically in Spring and the Fall. Scouts and parents earn money in their scout accounts that can be used to pay for their scouting adventures. 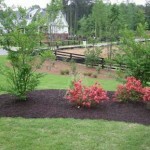 Look for emails of mulching jobs sent to the troops’ google groups. Scouts and parents participating in a high adventure trip or activity sponsored by the troop may elect to use fundraising projects to offset or pay for the activity. Projects have ranged from Courts of Honor dinners to car washes to spreading mulch and selling doughnuts. Such projects are in addition to any troop-level fundraiser. Participation is expected if the group agrees to a project.